New teanamu website is finally launched – do let us know what you think. Our new website launches today, and we’re very excited! We have a new home! We’re going to feature a lot more teas, a lot more recipes and a lot more health tips, all with teanamu’s distinctive, highly original slant. New teas will be added to our online shop week on week, gorgeous discoveries like Cantaloupe Oolong, sweet Taiwanese melon filled with dark, fruity ‘red’ Formosa Oolong then dried, perfect for vintaging or enjoying straightaway. Or Moonshine Green Pu 2011 vintage tea cake, which blends earthy Pu Erh tea with delicate, aged, silver-tipped white tea – its beauty reminds us of looking at thousands of stars against the backdrop of a cloudless night sky! We’re also proud to unveil a whole new range of herbal tisanes, such as San Hua Three Flowers and the very popular Ba Bao Eight Treasures where we will customise the recipe to suit the season and your particular health needs based on the Yin-Yang balance of your body. 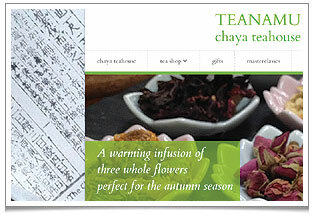 Many of our teas are available at chaya teahouse (see this weekend’s menu or reserve a table) and click here to read the most recent review. 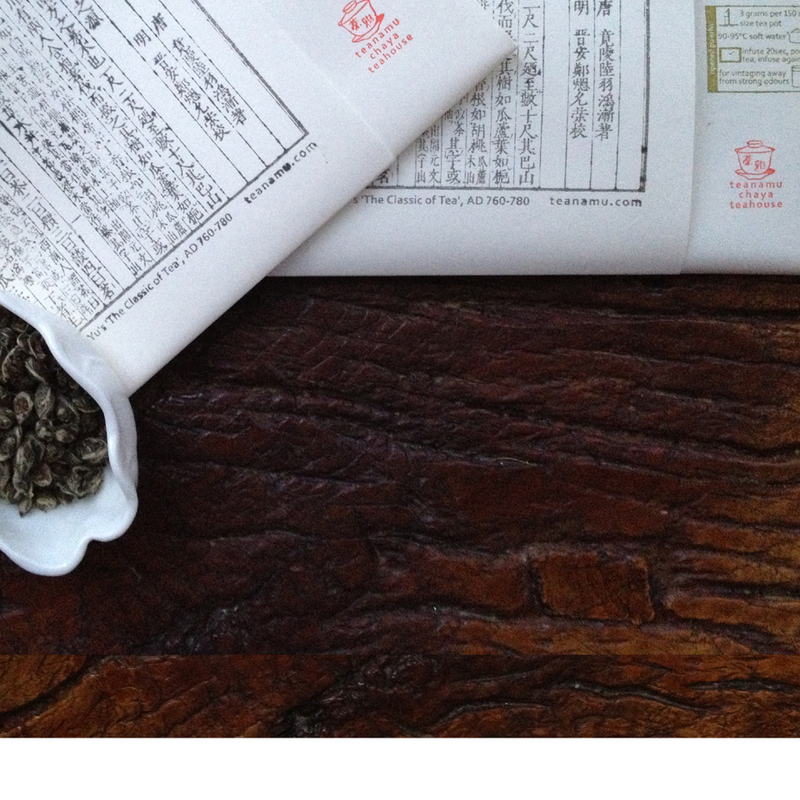 In fact we’ve been promising our tea friends at chaya teahouse for years to make their favourite tisane Ba Bao Eight Treasures available online… and now at last we’ve done it! Thank you very much! Do pop by for a cuppa soon!